One of the most fascinating regions of Spain, Andalusia is a little gem for those who are wild about history, excellent food, dramatic landscapes and contrasts. Andalusia is mostly identified with Malaga, Sevilla, Granada and Cordoba. However, there are off-the-beaten-track spots that are well worth a stay for a few days: such as Antequera. You might never have heard about this place before. I had neither, until I recently got the opportunity to visit the area and to discover its beauty. 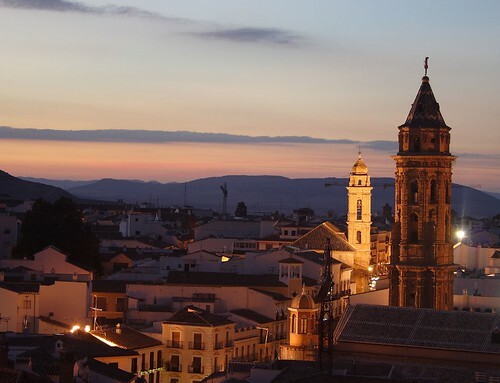 Ideally located, Antequera can be geographically – and strategically – considered as the heart of Andalusia. From there, you can easily reach Granada, Sevilla and Cordoba, have a hike in the Sierras or spend a day at sea in the Costa del Sol. All in a day trip, if you like. Antequera is a fascinating area, full of history. 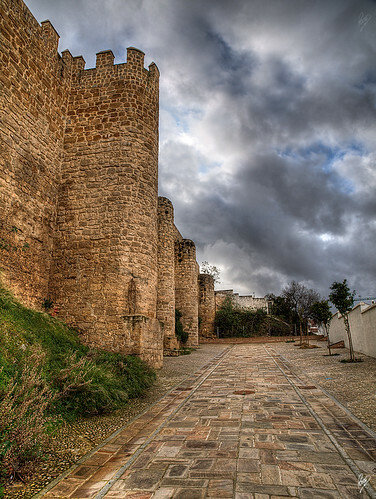 The Moors dominated the city from 716 A.D. until 1410, when Ferdinand I – who would be crowned Kind of Aragon in 1412 – conquered Antequera and took possession of the Alcazaba, the castle built by the Moors to defend themselves from the Spanish Catholic Army. After the ‘Reconquista’, Antequera became an important outpost of Spanish Catholicism; many Moorish mosques were destroyed and several churches were built in their place. But Antequera’s historical heritage is much more remote and goes back to the Bronze Age. The Dolmen de Menga and the Dolmen de Viera are the largest remains in Europe and an almost unique occasion to visit an amazing burial mound dating around the year 3000 B.C. Spain is well-known for its great food and for being a country hosting some of the most famous chefs worldwide. However, as in many other places flooded by tourists, choosing the right restaurant in Granada, Sevilla or Cordoba can be a challenge. Foodies won’t be disappointed in Antequera and its surroundings, where lovely and typical restaurants serve local food prepared in a wonderful fashion. 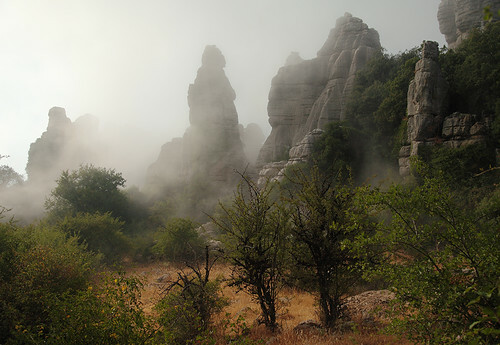 A walk in the Natural Reserve El Torcal de Antequera is a must. The landscape is stunning, with its karst rock formations among the most important in Europe. El Torcal is home of a large number of Spanish Ibex that can easily be spotted on the rocks. One place really struck my heart: the Plaza de Escribanos, in front of the wonderful Real Colegiata de Santa Maria La Mayor, the church built between 1514 and 1550, whose style is half way between late Gothic and early Renaissance. Completely closed to cars, the Plaza (square) is a lovely promenade and offers its best at night. A dinner at the excellent Restaurant El Escribano is a unmissable experience: awesome food and a marvelous view on the illuminated cathedral, for an enchanting night you will remember for a long time. The closest airport is Malaga, served by a number of low-cost airlines. The best way to reach Antequera and explore its surroundings is to rent a car. Alternatively, you can reach Antequera both by bus or by train. Hotel Finca Eslava: with its 18th Century typical Andalusian patio, the large garden and its adjacent fitness and wellness club (including a swimming pool) this cosy 4 stars hotel is an excellent option for a very pleasant stay in Antequera. Hotel Posada El Tempranillo: dedicated to the famous bandit Jose Maria El Tempranillo, this typical restaurant in the outskirts of Antequera offers excellent local dishes and a warm ambiance. Hotel Convento La Magdalena: in a wonderful old convent with a lovely view on the olive trees, this restaurant offers excellent revisited local dishes in a refined environment. Restaurante el Escribano: excellent food with a wonderful view on the church Santa Maria La Mayor. Note: Special thanks to Antonio Ramírez from Destino Antequera and Victoria Garcia Clemente of SondyTour, who guided us through Antequera and let us discover its beauties. Gratitude also to all the people in Antequera who warmly welcomed us and sponsored our visit. Please note that although this was a sponsored trip, all opinions and impressions are exclusively mines. I first visited Antequera two years ago and instantly loved the town. My partner and I are very lucky to have been able to buy a small home here , just near to the Alcazaba. This will be our first stay during Christmas . I think it will take me the rest of my life to explore this intricate town. Oh… It must be lovely to live in Antequera. I still remember the magic atmosphere of such a beautiful town. I was there in Summer and wonder how it is in Winter. Antequera is one of Andalucia’s many gems. Such an interesting town and fabulous surroundings too. So much to see and do and after 20 years I’m still discovering and exploring Andalucia. I was really surprised by Antequera and Andalucia is a beautiful region. I should explore more of it as well! Great, this is firmly on my list. Good to know! My husband and I have lived in a small hamlet near Antequera for the last 12 years; we chose the area because we found Antequera so different to the other towns and cities. With lots of interest to tourists it is just the right size and until now has not perceived itself as a tourist destination, and we continue to be amazed at just how wonderful Antequera is. Also the people in the city are very welcoming. This looks like a great spot. A great addition to the usual places people go. Thank you for sharing. Wow this place is such a hidden gem! @Andi @Jim Indeed Antequera is lovely. And I recently found out that I am far more attracted by smaller, off-beaten places. Glad you liked it! I lived in Antequera for almost a year. It’s the most charming, atmospheric town you could wish to visit. Must be really nice living in Antequera. People were so warm and welcoming! I can’t wait to visit Spain. I only heard good thing about it! 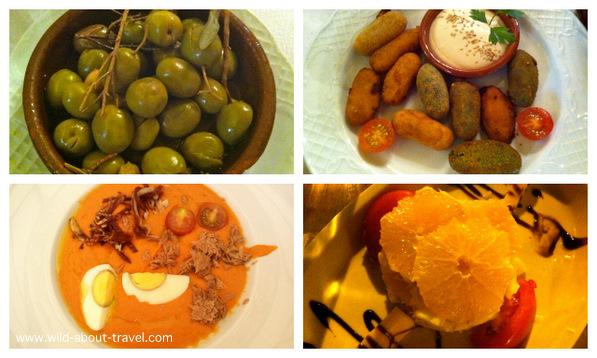 Thanks for sharing, it would be great to get back to Andalusia sometime soon, some great imagery but yet more food! 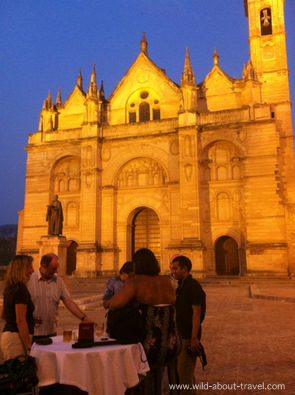 Yup… Definitely food and wine are a fabulous part of a trip to Andalusia. I still have so many photos to edit, and half of them are of… food!! !